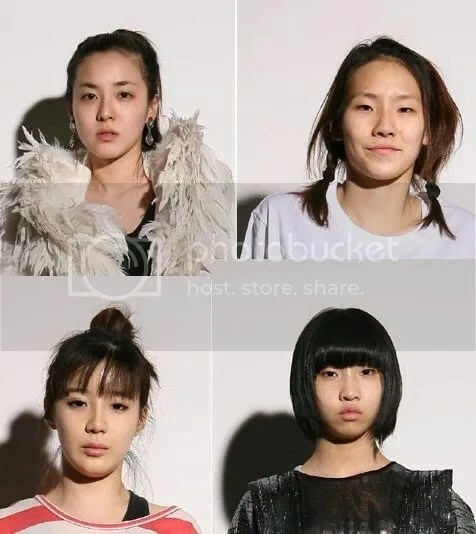 2NE1 without makeup? Hmm. It kind of surprised me. I mean…they look so different without makeup that it’s kind of scary. I can’t believe YG Entertainment would even release this photos out. Sandara – look a little older w/o makeup, but still very pretty! God help us all…at least the good ones among us! I think 2NE1 pretty all.though they no makeup.I like 2NE1 so much. i’m a bit late now haha.. well it shocked me but this shows that nobody, i mean nobody has perfect looks, and i love it how they just took these pictures to show everyone.. i think it’s pretty cool, and imo it wouldnt really be 2ne1 without any makeup, etc.. thats one of my favourites in this group, their style and make up 😀 (and their music ofc!) 2ne1 fighting~! I think dara looks so cutie among them. cl so different. but not importaint. We untill love their music and style! cl looks like kim joong kook here. They just don’t look happy. They look like their plane went down in North Korea and got stuck there.